Maximum order quantity of 5 packs. 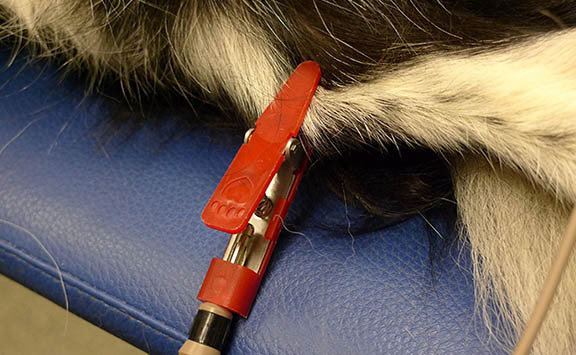 Comfy Clips, commissioned by Paul in 2009 to reduce patient discomfort, are ECG/EKG electrode clips specifically designed for use in small animals. 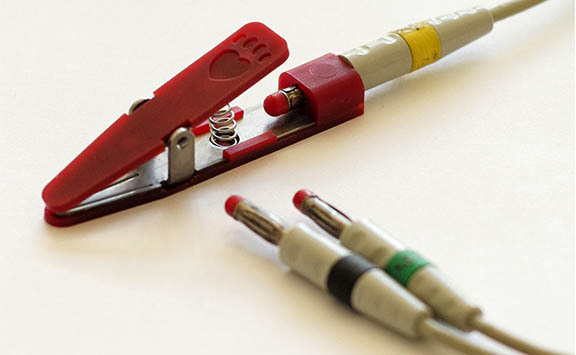 Made to connect to the standard plug at the end of the patient cable (i.e., 4 mm banana plug), the electrode clips are a comfortable alternative to alligator clips. 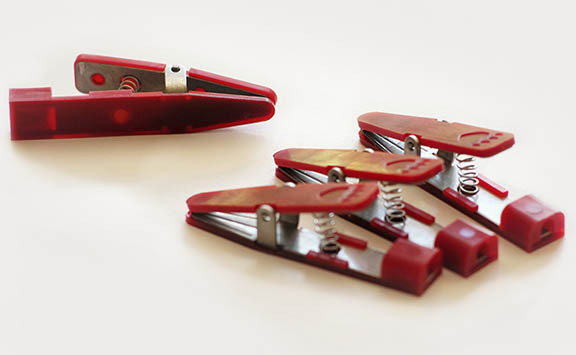 The electrode clips attach directly to the animal skin (no clipping necessary). To assure good electrical contact simply moisten the skin with surgical spirit prior to recording the ECG. The design incorporates a grooved metallic surface to facilitate dispersal of the surgical spirit, thereby helping to optimize electrical conduction.